Women and men seeking cosmetic treatment for wrinkles and laugh lines soon learn that not all injectable fillers are alike. While most are biocompatible formulations of hyaluronic acid, each has properties ideal for different purposes. Those seeking help for deeply set wrinkles and folds, as well as crow’s feet around the eyes, now have a friend in Restylane Lyft (formally Perlane)® and Restylane Lyft (formally Perlane)-L®, the injectable dermal filler ideal for restoring youthful volume to faces. The vigor and lift associated with the Restylane Lyft (formally Perlane) and Restylane Lyft (formally Perlane)-L treatments Edgewater and Hoboken patients have been enjoying lately is due to the expert medical direction of Dr. T.G Khan and his staff of caring and detail-oriented aestheticians and medical assistants. What are Restylane Lyft (formally Perlane) and Restylane Lyft (formally Perlane)-L? Restylane Lyft (formally Perlane) and Restylane Lyft (formally Perlane)-L consists of the hyaluronic acid youthful bodies naturally manufacture. This substance, in gel form, is the primary ingredient in a variety of injectable fillers, including Restylane Lyft (formally Perlane), Restylane, and Juvederm. What differentiates each of these treatments is the average size of particles, their molecular cross-linking and the depth of the injection. When it comes to Restylane Lyft (formally Perlane), hyaluronic acid particles tend to be larger than those in other brands, which make them more appropriate for a deeper injection into the skin. Restylane Lyft (formally Perlane) is the perfect choice for women who are ready to part with their deep smile and laugh lines, crow’s feet, and the so-called “marionette lines” that join the corners of the mouth and the angle of the jaw. How can Restylane Lyft (formally Perlane) help with wrinkles like Crow’s Feet? In clinical studies, an average of 70% of Restylane Lyft (formally Perlane) patients maintained the improvement for six months or more after just one treatment. Results can typically last 9-12 month or more and recent reports have shown semi-permanent effects with repeated injections. Such research indicates that there is hope out there for women who wish to only step into their cosmetic center a couple of times annually to have their look updated and refreshed and not go under the scalpel for beauty. Moving on with life, staying active, and feeling confident is what Restylane Lyft (formally Perlane) is all about. At the Edgewater and Hoboken Cosmetic & Laser Centers, qualified, caring professionals ensure that while you receive the best advice and care their extensive expertise offers, you spend more time enjoying your life, your family, and your friends than you do receiving and recovering from treatments. The noninvasive simplicity of Restylane Lyft (formally Perlane) treatments is just one way to ensure that patients can achieve their beauty goals while avoiding cosmetic surgery. Why should I get a Restylane Lyft (formally Perlane) Treatment from Dr. Khan? 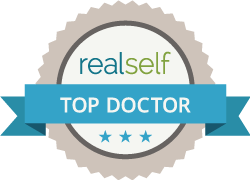 Restylane Lyft (formally Perlane) patients at Edgewater and Hoboken Cosmetic & Laser Centers choose us because of Dr. T.G. Khan’s expertise. Board-certified and comprehensively trained as a Cosmetic and Oculoplastic Surgeon, Dr. T.G. Khan is a specialist in six different cosmetic injections as well as the use of cosmetic lasers. A fellow of the American College of Surgeons (FACS), Dr. T.G. Khan is also highly skilled at performing cosmetic surgery for patients that require it. He can be counted upon to warmly counsel patients at his cosmetic centers and recommend the most effective but least invasive procedure that will help you meet your goals, maximize your results and minimize and possibly eliminate your downtime. Emphasizing ease of recovery and natural-looking results, Dr. T.G. Khan puts Restylane Lyft (formally Perlane) patients at ease throughout Edgewater, Hoboken, and the surrounding communities. Call Edgewater and Hoboken Cosmetic & Laser Centers today at 201.313.8899 to set up an initial consultation. You’ll be happy you made the call.